Applications for summer 2019 finishing fellowships are being accepted and are due no later than 4pm, February 26, 2019 to the Graduate School. Please email applications to gradschool@mtu.edu. An information session to discuss how to prepare a successful application will be held on February 6, 2019 at 1pm in Admin 404. Must be a PhD student. Must expect to finish during the semester supported as a finishing fellow. Must have submitted no more than one previous application for a finishing fellowship. Must be eligible for or in Research Mode at the time of application. Finishing Fellowships provide support to PhD candidates who are close to completing their degrees. These fellowships are available through the generosity of alumni and friends of the University. 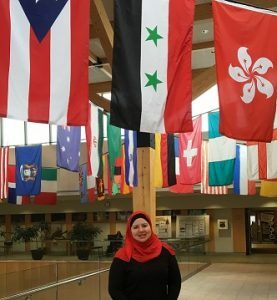 They are intended to recognize outstanding PhD candidates who are in need of financial support to finish their degrees and are also contributing to the attainment of goals outlined in The Michigan Tech Plan. The Graduate School anticipates funding up to ten fellowships with support ranging from $2000 to full support (stipend + tuition). Students who receive full support through a Finishing Fellowship may not accept any other employment. For example, students cannot be fully supported by a Finishing Fellowship and accept support as a GTA or GRA. Mr. Huaguang Wang received his BS and MS degrees in Metallurgical Engineering from Central South University in China. 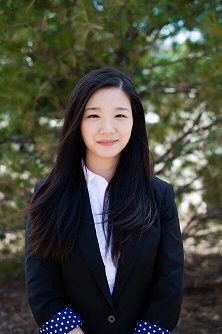 Currently, he is pursuing her Ph.D. degree at MTU from Fall 2015 under the supervision of Dr. Bowen Li. His Ph.D. research focuses on nano-composite materials synthesis, mineral processing, and microwave technology. After the completion of his Ph.D., if an opportunity arises from his hometown university, he would be interested to take on a faculty position to perform research and teach. Secondary to that is to find R&D positions in the United States. Applications for spring 2019 finishing fellowships are being accepted and are due no later than 4pm, October 18, 2018 to Dr. Debra Charlesworth in the Graduate School. Materials emailed to gradschool@mtu.edu is preferred. Instructions on the application and evaluation process are found online. I came to Michigan Tech in August 2012 and work in chemistry lab with my advisor, Dr. Lanrong Bi for 6 years. Before my graduate studies, I earned my bachelor’s degree in chemistry at the University of Science and Technology of China. 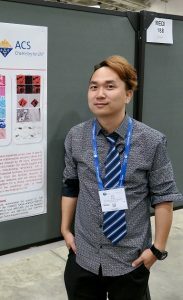 My current research focuses on designing of novel fluorescent probes which are used to label targeted lysosome and mitochondria. These probes can be used for facilitating early cancer diagnosis, cancer prevention and cancer therapy. Besides research projects, I also worked as a teaching assistant in several chemistry laboratories. These teaching experiences also benefits me a lot. I would like to express my sincere thanks to the Graduate School for providing me with this financial support. This fellowship allows me to focus on my dissertation and complete my PhD degree on time. I am also grateful to my advisor and the chemistry department. I feel proud to be a student in Michigan Tech. I came to Michigan Tech in Fall 2013 and got my Master’s degree in Environmental Engineering in 2017 with a GPA of 3.9. I started my Ph.D. under the direction of Dr. Paul Doskey in 2015, which focusing on the “diagenesis of organic matter in peat and porewater of a poor fen”. This program studies the seasonal variation of organic matters in the peatland. Peatlands, as unbalanced wetland ecosystems, contain approximately 30% of the global soil carbon. This large amount of carbon is so sensitive to variations in the climate system that it can serve as the indicator for climate changes. Understanding how the organic matter decomposition at different seasons is of great importance. My study was conducted at an extensive poor fen peatland in Nestoria, Michigan, USA (46.34º N, 88.16º W). Our field sampling was conducted monthly at three different experimental plots and three different depth under the ground. We were able to track the organic matter decomposition through the year and see the effect of plant functional groups and sampling depths on the organic matter decomposition inside the peatland. 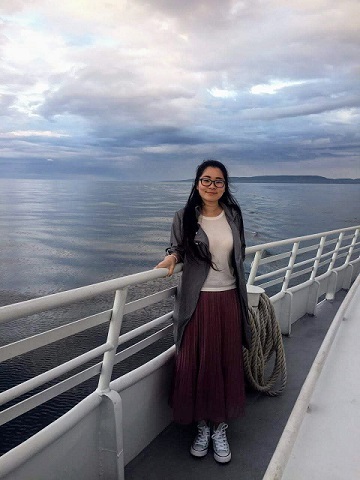 These research experiences are invaluable to me as an international student from China. I would like to thank my adviser Dr. Paul Doskey, my committee member Dr. Erik Lilleskov, and Dr. Evan Kane for their guidance and contributions to these projects. These works cannot be done without their unconditional support. I would also like to thank the Graduate School for granting this finishing fellowship. It really helped a lot reducing my financial burden and allows me to focus on writing my dissertation. 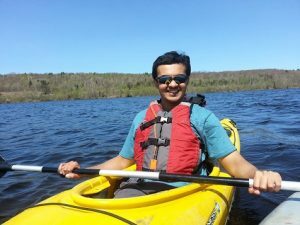 I came to Michigan Tech in Fall 2013 to start my Phd in Atmospheric Sciences after finishing my masters from University of Michigan in Aerospace Engineering and my bachelors from University of Mumbai in Mechanical Engineering. When I came here, I wanted to learn more about the Earth’s atmosphere and how precipitation forms in clouds. My research focuses on the effect of turbulence on cloud droplet growth. I was able to perform experiments and obtain measurements to study that effect here in the Michigan Tech Pi Chamber which I couldn’t have done anywhere else. My research also allowed me to collaborate with other institutions such as the Leibniz Institute for Tropospheric Research in Leipzig, Germany where I spent two months. I’m thankful to my adviser Dr. Raymond Shaw for guiding me and the Physics department for supporting me in my research for all these years. This finishing fellowship allows me time to write my dissertation, defend my thesis and graduate with a doctoral degree. I would also like to thank the University and the Graduate School for the opportunity to grow as a graduate student in a professional yet homely atmosphere. I was fortunate enough to work with Dr. Oliver Gailing in Forestry as he introduced me to Forest Genetics. I have been under his supervision since 2012 and it has been quite a journey. I did my Masters along side working on my PhD research focusing on discovery the genetic basis controlling the development of wood and bark tissues in forest trees, aspen, characteristics important for breeding and the fitness of aspen trees. I went on filed sites collecting samples from over 3000 trees and ran a genome wide search to find the underlying regions responsible for growing a healthier, better disease resistant and faster growing trees. I am grateful to the Graduate School for granting me the Finishing Fellowship for Fall 2018. I would also like to thank my advisors Dr. Oliver Gailing and Dr. Victor Busov for their academic advice and their constant support and encouragement. I am proud to be a part of Michigan Tech and can say I have made amazing and fond memories these past six years. It was August 2011 when my flight landed in this beautiful Houghton County and my journey of studying Computer Science at Michigan Tech began. When I got my Master’s degree in 2013, I only knew that I was interested in Computer Graphics for future research as it can bring us a world beyond imagination through the sliver screen and VR lens. 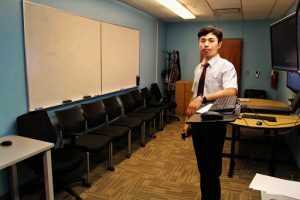 It was a NSF project that I later worked on helped me to see that Computer Graphics can do more in helping people. This project provided me the chance to develop a set of software system that facilitates the teaching of access control models. These tools take full advantage of data visualization to depict the inherently abstract concepts and their relationship. They also provide an experimental environment to allow custom inputs and manipulation of access control that can affect behaviors at the operating system level. With these tools, we were able to solve the long-lasting problem of lacking a safe and practical environment for learning access control, and successfully bring access control from a theoretical study back to an empirical experience as it should be. I would like to express my gratitude to the Graduate School for granting me the Finishing Fellowship. I would also like to thank my advisors Dr. Jean Mayo and Dr. Chaoli Wang for their academic advise and their wisdom in life. It has been a valuable experience at Tech and I am proud to be a Husky. I started my PhD at Michigan Tech in Spring 2015. My research focuses on genetic alteration in phenypropanoid pathways for an increased saccharification. As a part of my PhD dissertation, I manipulated certain phenyloxidases like laccases and peroxidases along with some transcription factors with the help a utility promoter using Poplar as my model plant. Cell wall provides the integrity, structural support and act as food reserves and constitutes cellulose, lignin and hemicellulose. Lignin imposes recalcitrance in the plant cell wall thereby hindering the release of sugar for biofuels. 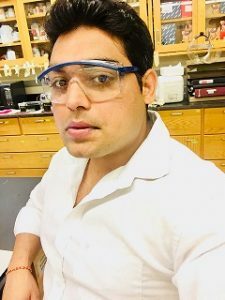 I produced about 200 genetically modified plants with alterated lignin and hence further investigated them for their wood and biochemical properties. It has been great time at Michigan Tech since last 4 years. I want to express my sincere thanks to the Graduate School for providing this opportunity to the graduate students in their finishing semester. I feel proud to be a part of Michigan Tech. I am honored to receive the Doctoral Finishing Fellowship. Thanks to the support from the Graduate School for enabling this opportunity. In August 2014, I came to Houghton as a Ph.D. student in the Department of Civil and Environmental Engineering at Michigan Tech after I obtained my Master degree in Urban Planning from Renmin University of China. 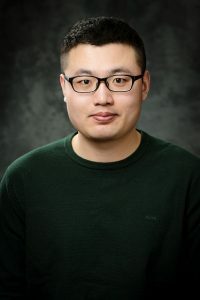 At Michigan Tech, my primal research focus is to apply optimization, control theory, and data-driven methods to investigate dynamic transportation modeling of connected and automated vehicles, as well as interdependence between transportation network and power grid systems. I am so grateful that I have the opportunity to work with my advisor, Dr. Kuilin Zhang in the emerging area of connected, automated, and electric vehicles in smart cities. His leadership and high standard of excellence has helped me grow into my potential. I also would like to give my special thanks to my dissertation committee members, other faculty and students in the Department of Civil and Environmental Engineering at Michigan Tech for their big support throughout my journey of Ph.D. studies.